I wanted to share a bit about the WHAT and WHY of my time in England, the WHO God has put in my path, and then HOW you can partner with me in this adventure! What made me decide to leave my job, friends, family, and American comforts to go back to being a student? In short: after wrestling for several years with going into full-time ministry, I realized that what was holding me back was lack of training that will enable me to teach the Bible well. I am reading (ie the English way to describe 'studying') theology at Wycliffe Hall at University of Oxford in order to gain theological education that will help best prepare me for a lifetime of ministry. Why study an ocean away from friends, family, and Tex-Mex? Generally my answer to this is because I had the opportunity. In 2017 I was single, working remotely, and about to turn 30 when I read a book by a girl who made a decision to work abroad for a few years at a similar stage of life. My life hasn't always looked as I expected it to, but part of what God has taught me through that is his always-faithfulness (even when I don't see it). Oxford is the oldest university in the English-speaking world, which means that it has been a place of learning, discovery and growth for over 900 years. Oxford's history is irrevokably intertwined to much of the history of Christianity in the English-speaking world, as well. In the 14th century, John Wyclif (Wycliffe Hall's namesake) advocated for a Bible in English and fought the papacy. During the English Reformation, Oxford served as a site of both renewal and controversy, and ultimately also the location of martyrdom of some of Anglicanism's most influential leaders (Cranmer, Latimer, and Ridley). Today, there are nearly 24,000 students at Oxford, with 49% of those being postgraduate students. In the UK, just 9% of the population are practising Christians (defined as: regularly praying, reading the Bible and attending a church service at least monthly). University atmospheres offer a unique opportunity for evangelism and discipleship: students typically are interested in having discussions and conversations about wide variety of topics, and they have the time to spend studying and evaluating faith in a way that professionals may not be able to spare. What brought me to Oxford originally in the fall of 2017 was the opportunity to study at Wycliffe Hall, the evangelical college in the heart of Oxford. I will continue my studies (Lord willing) through August 2020 with a theology degree and a greater understanding of Scripture (including Greek and Hebrew studies), a stronger grasp on theology (and why it matters for everyone), and more equipped to work in ministry. Wycliffe provides the unique opportunity to study theology in an evangelical, biblically-rooted environment whilst being a part of one of the world's top universities. This means that not only am I able to study alongside some of the top people in their field, but I'm able to interact with Christians and non-Christians who will be future global leaders. When I got to Oxford, I quickly became involved at St. Ebbe's, an evangelical Anglican church in town. Through St. Ebbe's, I have grown in discipleship-- both my own, and learning how to disciple others. My first year, I read the Bible one-to-one with younger girls studying in Oxford, and led a Bible study for American exchange students. In the spring of 2018 a position became available at St. Ebbe's working as the Female Associate Minister for Postgraduate Students (that's a mouthful, I know!). Through prayer and discussion with my parents and tutors at Wycliffe, I decided to apply and happily was offered the part-time position. Beginning August 2018, I will work with female postgraduate students in Oxford helping to create intentional discipleship opportunities and building relationships that encourage and equip them to live out their faith in academia as well as the working world. I get to study under brilliant tutors (Oxford term for professor) and have wonderful relationships with the faculty and staff at Wycliffe. I will also be working with a fantastic staff at St. Ebbe's who are doing diligent, fruitful, gospel-centred work in Oxford. And my fellow students provide infinite opportunities to learn and grow alongside as we all prepare for full-time ministry work. It took me returning home after my first year to recognize that in this season, God has truly given me a heart for the people of England and specifically the students of Oxford. I want to faithfully proclaim the true Gospel of Jesus Christ in everything that I do, and I am so grateful that I am able to do that alongside and through my studies. As I said before, only 9% of UK citizens are practicing Christians-- there is a huge need for a saving knowledge of the redemption God offers through Jesus to a confusing and unstable world. 1. PRAY - Join my prayer email list to stay updated on what I am doing, how God is working, and what I'm learning. 2. PURCHASE - 100% of profits from any art or products I sell on my Etsy site will go to meeting my financial needs whilst in Oxford. 3. 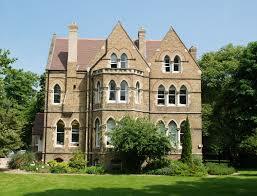 PARTNER - Some of you have been led to financially partner with me during my time at Oxford. If this is something you're interested in, you can find more information at the link below.